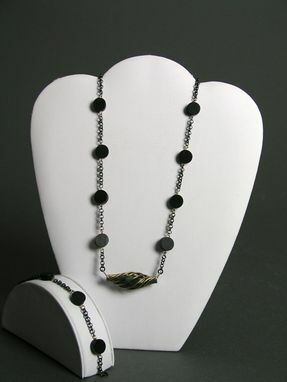 "Swirl" is a hand-made Necklace and Bracelet Set. 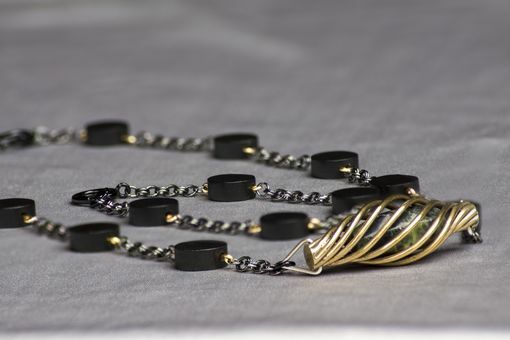 The centerpiece pendant is Bronze created using lost wax casting. Inside the bronze pendant is a Jasper stone. 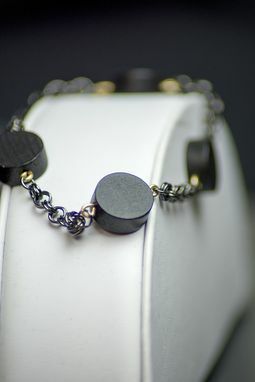 The necklace and bracelet are created with chainmaille and wood beading. 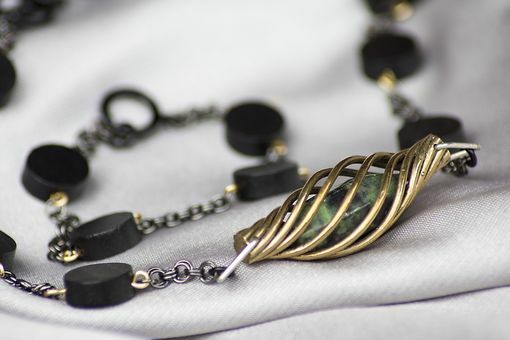 I love the whimsical feel that this set brings, it reminds me of flowing water while making a dark statement. I only have one of this set available, but I am willing to use the design to create something similar. The price would depend on the size, detail, and material used to create an original or custom piece.